Arlington, VA, 1 DECEMBER 2016— Registration is now open for the National Genealogical Society’s thirty-ninth annual Family History Conference, Family History Lives Here, which will be held 10–13 May 2017 at the Raleigh [NC] Convention Center. To register on or after 1 December 2016, visit the NGS website at http://conference.ngsgenealogy.org/register/ and complete the online registration form. With a focus on records, repositories and methodology, the conference program offers family historians numerous topics to help them advance their research. 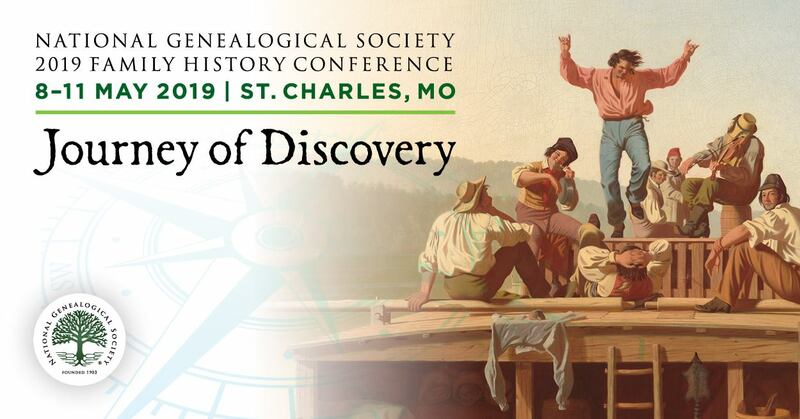 Other genealogical subjects featured at the NGS Family History Conference will include US Reconstruction, maps and locations, historical context, and research tips and techniques. Some highlights of the sessions are Deborah Abbott’s “Stories from the Back Door of the Swannanoa-Berkeley Hotel: My Family History,” Rick Fogarty’s “The Moravians and the Cherokees: From Piedmont to Tahlequah,” and Angela Packer McGhie’s “Using Identity Characteristics to Locate Your Ancestors.” A four-day DNA track features lectures on interesting developments and uses of DNA tests, and thorough analysis of the results. A workshop on chromosome mapping and a workshop on creating DNA citations and proof arguments are also planned. Single-day tracks focus on church records, military topics, and Native American research. Technology and its increasing role in research is addressed in a variety of presentations including a two-day track on tools and methods to use technology to enhance your family history research. A Skillbuilding track will again be sponsored by the Board for the Certification of Genealogists (BCG) for intermediate to advanced researchers interested in improving their research skills. A number of special events have been planned with limited seating, so be sure to register on 1 December, or as soon as possible thereafter, if you plan to attend these events. To register online, visit the NGS website at http://conference.ngsgenealogy.org/register/. The online searchable program is available at http://conference.ngsgenealogy.org/program/ and the PDF brochure is available at https://goo.gl/uci0ec. The brochure includes an overview of the sessions, tours, pre-conference events, registration times, and rates as well as general conference and hotel details. Attendees are urged to visit the conference blog, http://conference.ngsgenealogy.org/blog/, which will feature tips on local and regional research facilities, things to do in and around North Carolina, and updated information on hotel availability and local restaurants.